can help you with all of your skin concerns. 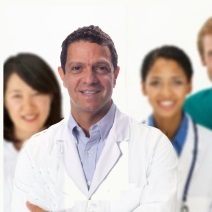 He is Board Certified by the American Board of Dermatology. Advancements in Dermatology is committed to providing our patients with the highest quality of care. With over 20 years of experience in Dermatology, Dermatologic Surgery, and Cosmetic Dermatology. We are committed to providing you with the highest quality of care. With over 20 years of experience in Dermatology, Dermatologic Surgery, and Cosmetic Dermatology, we can help you with all of your skin concerns. Ellis Gottesfeld, MD is Board Certified by the American Board of Dermatology. You will be seen by a Board Certified physician in our office and not an assistant. We take your Dermatologic Needs seriously and recognize the significant impact that it can have on your well being. All of our personnel are committed to providing our patients with the highest quality of care. Our focus is you. From the time you make an appointment through the treatment and the follow up, our clinic is organized to ensure you receive the best care possible. to receive the medical care you deserve! We have a particular interest in the prevention, detection and treatment of skin cancer and pre-cancerous lesions, such as actinic keratoses. We are also experienced in treating acne, aging skin, eczema, moles, psoriasis, rosacea, warts, as well as other skin conditions for all ages. We have expertise in treating all skin conditions including Acne, Eczema, Psoriasis, skin allergies, infections, itching, and diseases of the hair and nails. We see infants and children of all ages and make them comfortable in our office. Treatments are performed in the office with minimal discomfort and careful attention to cosmetic concerns. We discuss all options available for treatment and recommend the most suitable cure. We have many years of experience in providing minimally invasive, cost-effective treatment for wrinkles and other effects of skin aging. Whether you have concerns about aging or sun-damaged skin or want to smooth and soften your skin, we offer a comprehensive approach to help you look and feel your best. We will look at your wants and needs, and recommend the best treatment to achieve the results that you expect. Is a longer lasting filler that is used to treat wrinkles around the nose and mouth. Radiesse is made of unique calcium-based microspheres. Is a safe and natural cosmetic filler that restores volume and fullness to the skin to correct moderate to severe facial wrinkles and folds. Restylane/Perlane is made of non-animal-based hyaluronic acid. Injections can create a more youthful appearance by relaxing the muscles that create wrinkles. Most commonly, this treatment is used to reduce crow's feet around the eyes, wrinkles on the forehead, and frown and laugh lines. Are used to rejuvenate the skin's appearance. During this treatment we apply a chemical solution which causes dead skin cells to separate and peel off. This promotes younger-looking skin by peeling away old, sun-damaged skin. Can easily be performed in the office with minimal discomfort. Various treatment methods are used depending on the color and size of the lesion. Is a treatment to improve the appearance of small varicose veins or spider veins. This quick in-office procedure involves receiving injections of medication into affected veins. The solution causes the veins to shrink and eventually dissolve, leaving your skin looking beautiful, healthy, and clear. Dr. Gottesfeld has over 20 years experience in treating all types of skin cancer. He is experienced with all forms of skin cancer surgery. He is a fellow of the American Society for Mohs Surgery. If you have any concerns, it is better to have a specialist to look at your problems sooner rather than later. is a specialized, highly effective technique for the removal of skin cancer. The procedure was developed in the 1930's by Dr. Frederic Mohs at the University of Wisconsin and is now practiced throughout the world. Mohs surgery differs from other skin cancer treatments in that it permits immediate and complete microscopic examination of the removed cancerous tissue, so that all 'roots' and extension of the cancer can be eliminated. Due to the methodical manner in which the tissue is removed and examined, Mohs surgery has been recognized as the skin cancer treatment with the highest reported cure rate. The best and most beautiful things in the world cannot be seen or even touched - they must be felt with the heart. !